Join HOG for a seasonal challenging two ferries ride with wonderful fall colors (ferries are free)! The total ride is approximately 275 miles. Please bring snacks, sandwich, drinks etc,. as we will not have a formal lunch stop. Gas will be available every 100 miles including gas station snacks and beverages. We expect to return to Lone Wolf H-D about 4-4:30 pm. Bring clothes for a variety of weather. Ride Lead: DeDe Co Lead: Vic Sweep: Skip. This ride will be a blast and a challenge to your twisted road riding! Did You Know? In 1941 the Grand Coulee Dam was built on the Columbia River as part of the Columbia River Basin project, creating a 130-mile long lake. 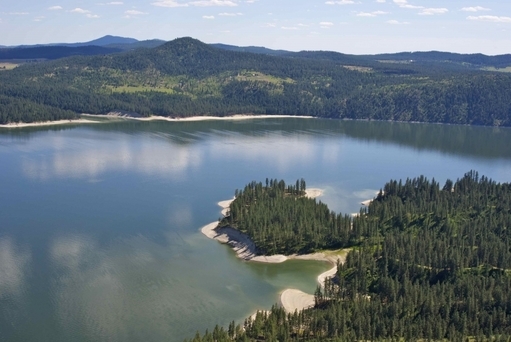 Named for President Franklin D. Roosevelt, Lake Roosevelt National Recreation Area provides opportunities for boating, fishing, swimming, camping, canoeing, hunting and visiting historic Fort Spokane and St. Paul's Mission.